Hiller, P. (2018). The 2016 US Presidential Elections and Beyond. Peace Education for Nonviolent Resistance. In: Oswald Spring, Ursula & Serrano Oswald, Serena E. (Eds. 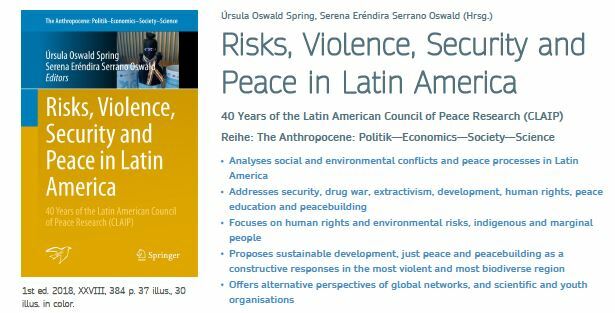 ), Risks, Violence, Security and Peace in Latin America: 40 Years of the Latin American Council of Peace Research (CLAIP). Cham: Springer International Publishing.